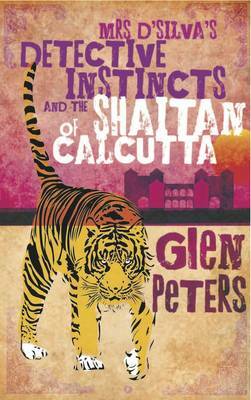 The book is the story of an Anglo Indian community in 1960s Calcutta coming to terms with India taking its first few faltering steps towards democracy. Joan is a single parent whose son's accidental discovery of the body of a young woman, gets her embroiled in the sinister activities of a maoist faction. The movement is bent on bringing a violent revolution to overturn the unfairness of caste, class, religion and privilege. The book evokes the rich multicultural but confused five hundred year heritage of the Anglo Indian community who feel abandoned by the British and unsure of their fellow Indians. You smell the sumptuous cuisine, feel the emergence of popular culture, recoil at the racism, despair at the bureaucracy and are aroused by the sexual tensions. Although the characters in the book are purely fictional, the background is based on real historical, national and world events of the day; the Naxalbari uprisings, President's rule and the rise of democratic Marxism in India. The writing is in the genre of a popular political thriller. The author, an Anglo-Indian, is intimately familiar with the period and is keen to give this almost extinct, post-Raj community and authentic voice. The book will appeal to those interested in stories of South Asia, political events of the 1960s, the cross-over of English and Indian. It is the author's intention to include a list of recipes and a glossary of the less familiar Anglo Indian words.